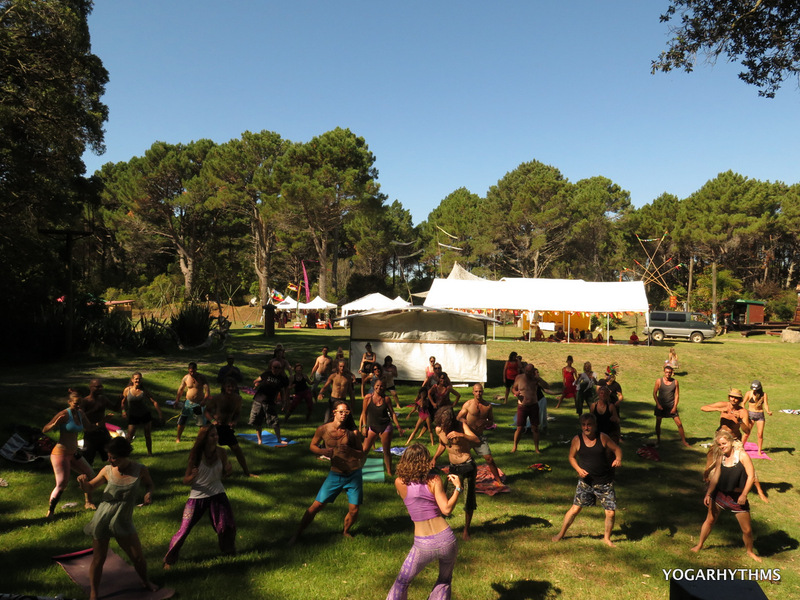 Earthbeat Featival YogaRhythms DJ mix is up! Finally, it’s up. 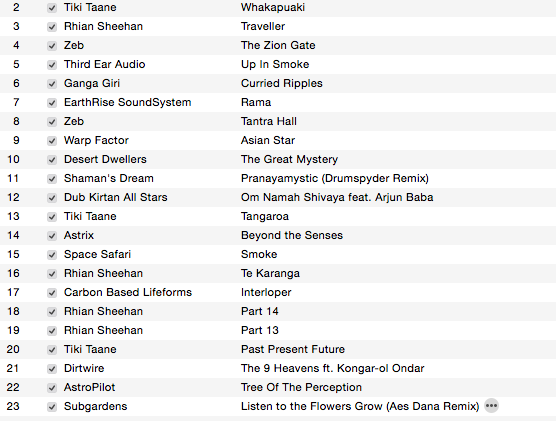 A selection of music summoned to tap into the powerful earth rhythms and frequencies around us. To celebrate our culture, our people and our EARTH. A selection of music to celebrate Earth Day 2015. ENJOY! 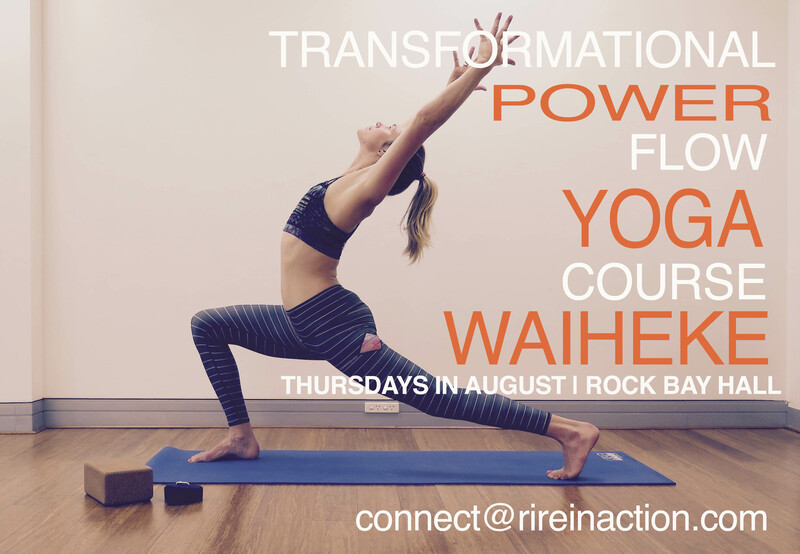 So unbelievably excited to be guiding my first power vinyasa class at the awesome lululemon store in Ponsonby, Auckland, New Zealand, The Universe. I’m all about the flow, and can’t wait to show you some new techniques I have been working on. I’ll also be promoting my Tuesday Morning class at Ashram Yoga. All attendees will be offered a FREE class with me and an opportunity to win a prize. I’ve got a few surprises lined up for this class too – Stay tuned for more details! Finding yourself in wild and wonderful situations is no fluke. We create our own reality. This one was no exception. We had an opportunity and we worked it. Such a buzz to perform with the gorgeous and outrageous Bang Bang from the We Go Bang Bang Duo. I sometimes have to stop and pinch myself.. It’s been a wicked summer and now we’re GOING ON TOUR! It all started with myself and the lovely Sarah Jane Perman brain-storming about how we could co-lab, and since we were both making our dusty pilgrimage to the Playa we thought we might as well aim high and kicked off the YogaRhythms thing at Burning Man 2013 (bit of a make shift one I might add! No microphone, and little direction). Then we thought it would be a great idea to play at Wanderlust One day teaser events, so we created a facebook page, whacked up some artwork and put it out there. Two Wanderlust events, A mini Auckland tour, a killer halloween show, and 5 festivals later we’ve got some crazy momentum going. I’m not going to lie. I’m excited about this project. 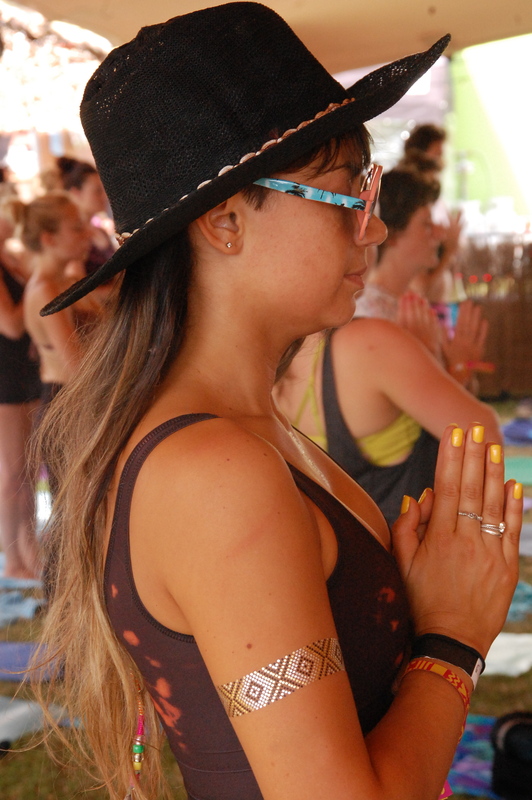 It kneads together my favourite things – Yoga and music – in a kind-of holy matrimony. 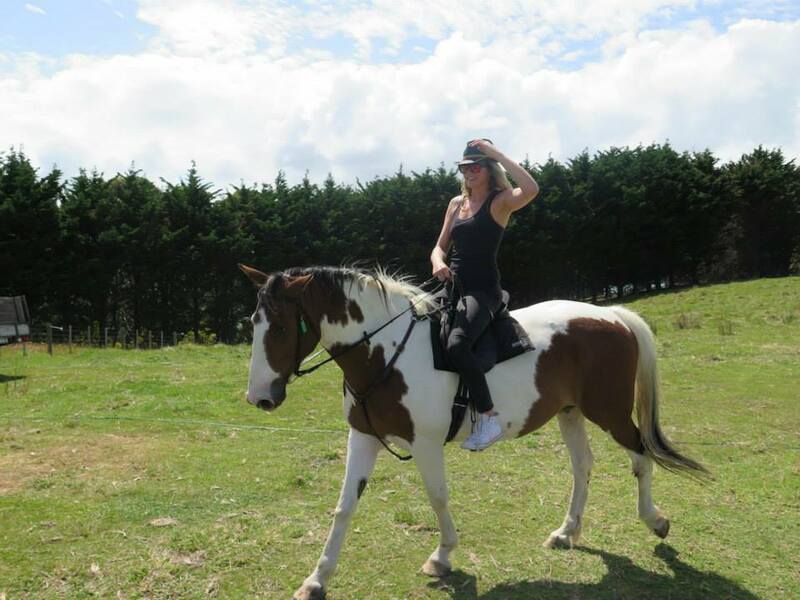 SJ is now a global goddess sharing her art, yoga and spiritual work all over the world. 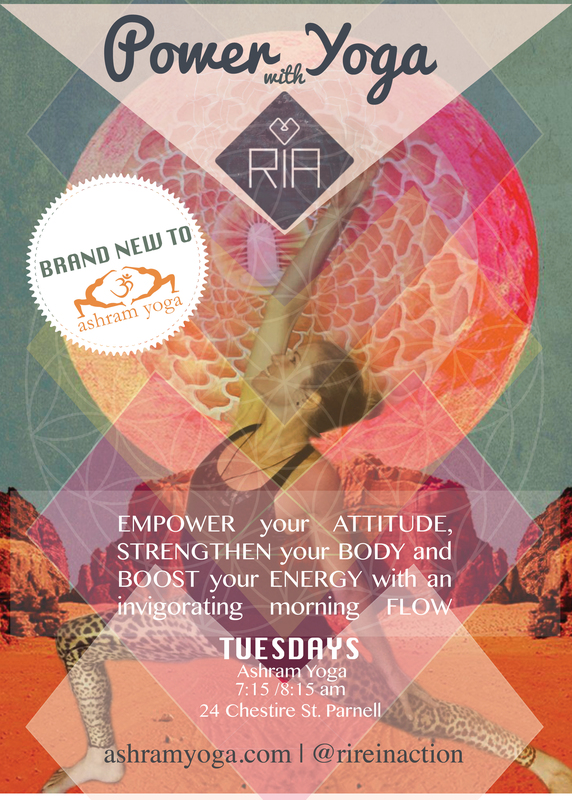 YogaRhythms has morphed into a collective bringing together magical yoga teachers and me, R.I.A on the decks creating and designing, and holding the vibe with the playlist – mixed live of course. 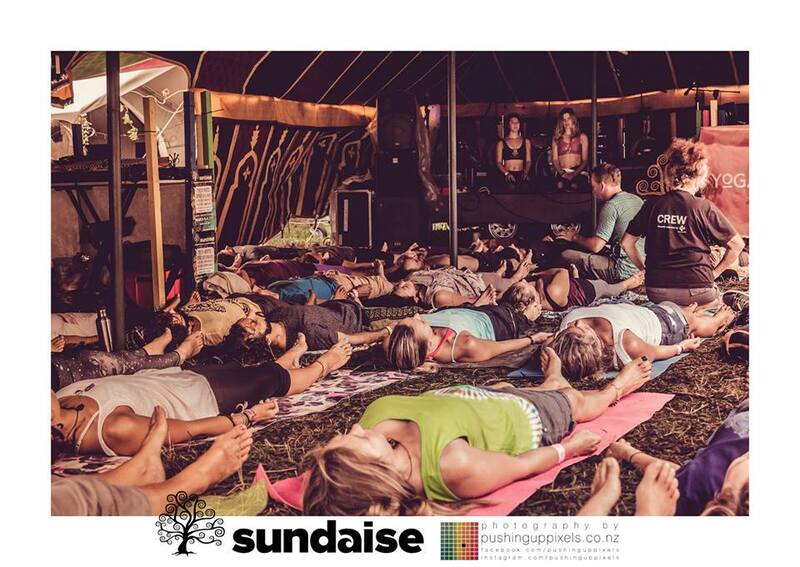 I’ve been blessed to be working closely with Kara-Leah Grant (The Yoga LunchBox) & more recently Shian Love (Live Bright Yoga) for Sundaise Festival in recent months. 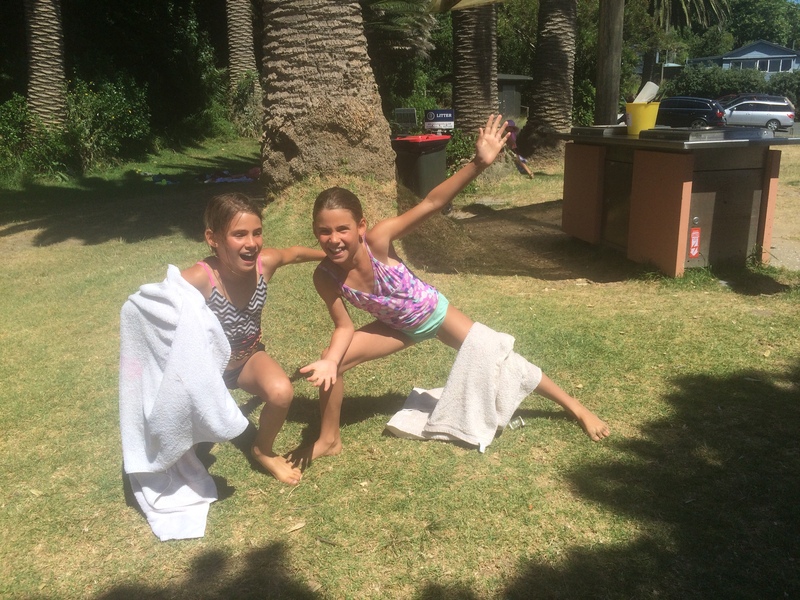 It’s becoming apparent as to what possible the culture of yoga and dance. 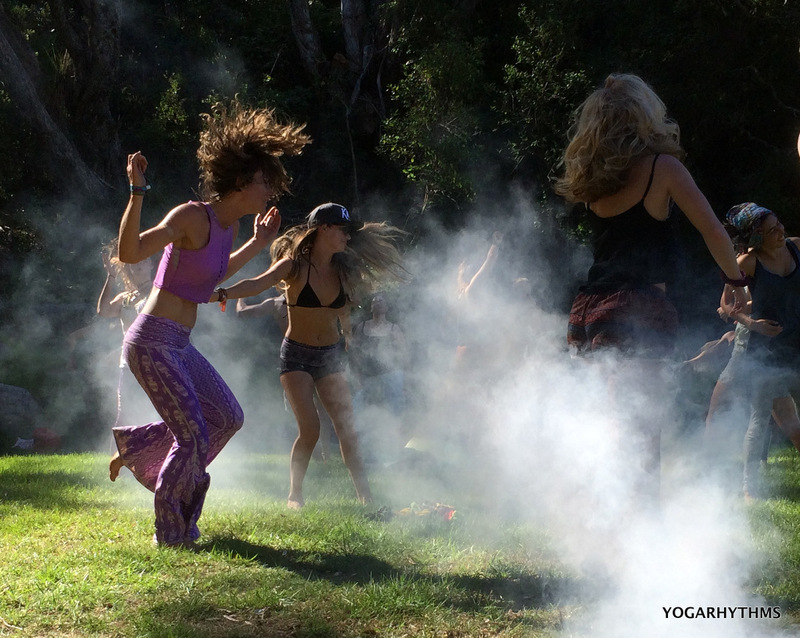 Yoga and music is not a new thing, but by doing it with intention and thoughtful collaboration we can bring people into a state of ecstasy, oneness and connection using movement and music as our vehicle, without the drugs of traditional dance culture. We can get to a place where people can let go and free-dance, move and create a space for transformation. I feel this is all part of our universal healing and coming back to our natural state of humanness, letting go of constraints. No judgements. Just Move. 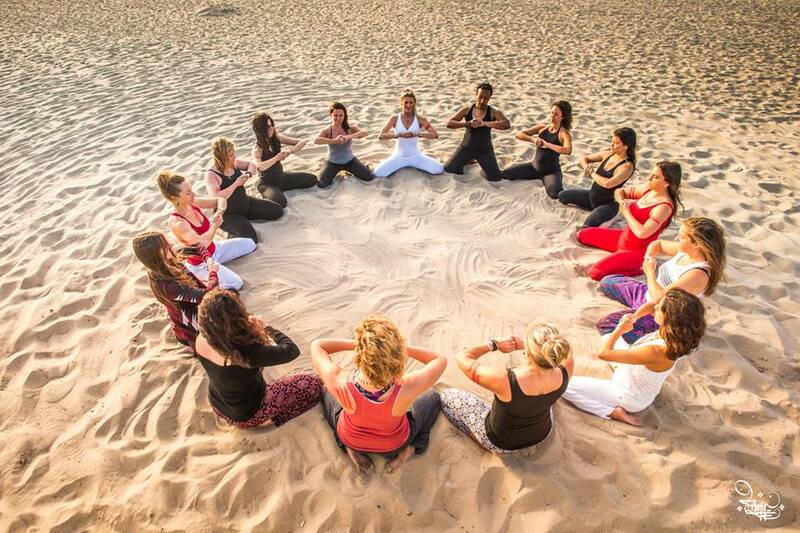 YogaRhythms is not just about yoga + dance, it’s a metaphor for those of us who dare to be different. 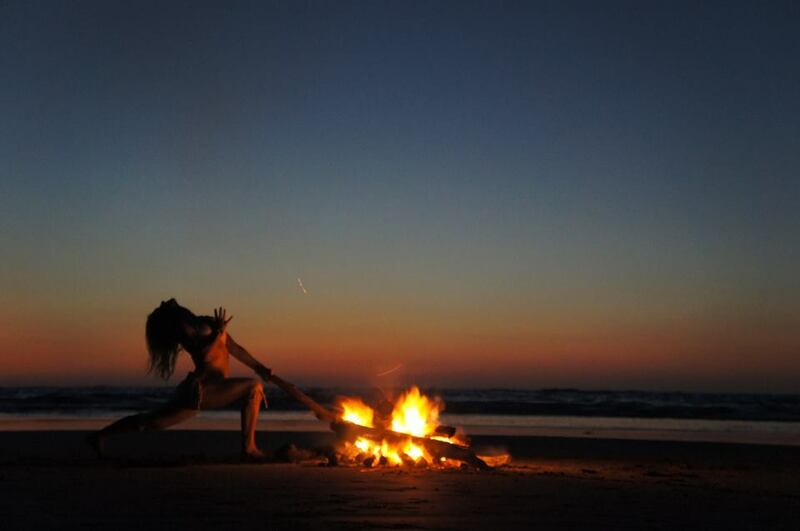 To stand tall and not shy away, to dress bright to match the rays of light that shine from our heart, to experience true love and joy because this is our true nature – to be wild and free. With this comes a love for the Earth, because as we stand there feeling the vibration of mother nature beneath our dirty festival feet we know she needs us to stand strong for her, to honour her, to treat her with care and to connect into her divine energy. Mother Earth is the sentience or soul of our planet. A sentience is that which is conscious or aware of itself and its purpose. 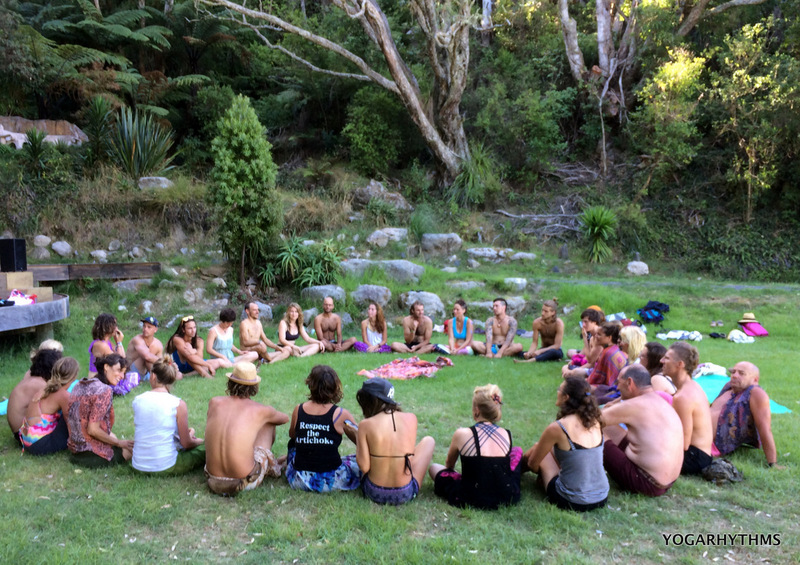 This is why we’re so bloooooooooooown away to work with teeki to help share their vision here in NZ and help them reach more hearts, minds and souls with an experience that connects us to nature with movement and high vibration. The TEEKI story is one that starts when a young woman had visions of a beautiful earth and a conscious community of lovers that care for the land, our oceans, and each other. What manifested from this vision was Teeki. Check out their sustainability vision, passion and purpose here. So yes.. Did I mention myself and Kara-Leah Grant are going on tour? Yes, that’s right folks. It might just be a mini one, but for us, to be on the road, heading to sunny summer towns in our home-land, doing what we love, is just freaking awesome. CLICK THE IMAGES TO REGISTER FOR THE BELOW EVENTS! 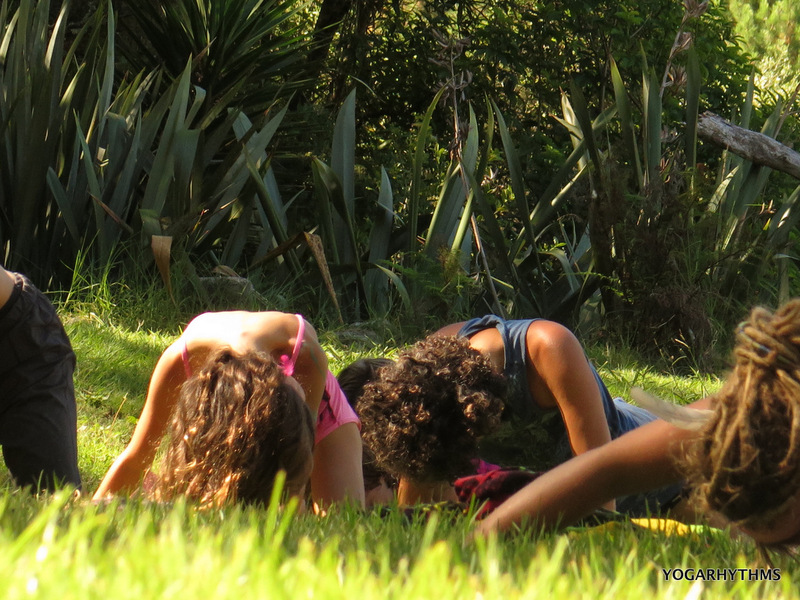 Keep an eye on https://www.facebook.com/yogarhythmstribe to win a wicked prize of Teeki, Books and stuff like that..